I wasn’t sure up until this very moment whether to write this post or not, but as a burger lover who despairs at the vegetarian options that are sometimes offered, I thought it was worth a mention. 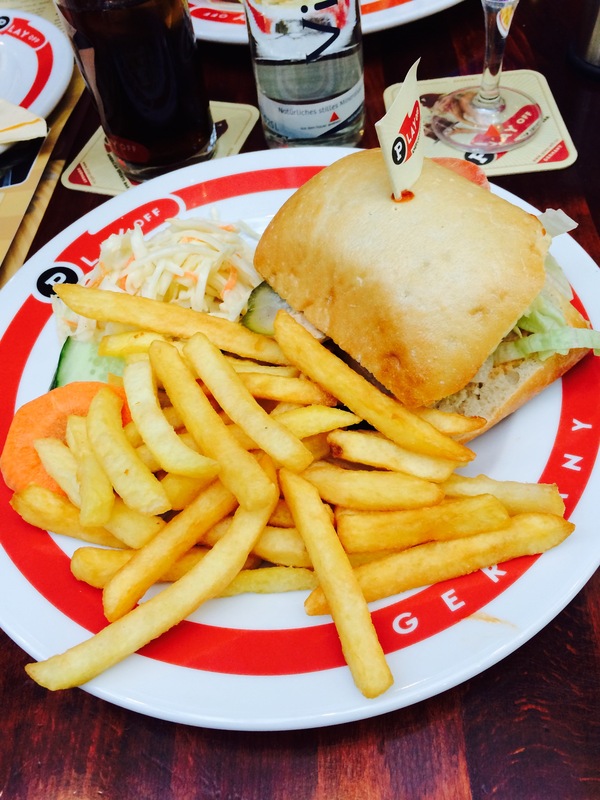 On Saturday, I found myself hungry in Potsdamer Platz while waiting for Mockingjay Part 1 to start. With two shopping centres and many restaurants in the surrounding area, it is not very hard to find something to eat at Potsdamer Platz. However, it can be difficult to find something that good quality and within a reasonable price range. Not taking into account fast food joints, you will find, like many other tourist areas in big cities, there are restaurants which will serve up any old slap for a high price to tourists they know will not return. 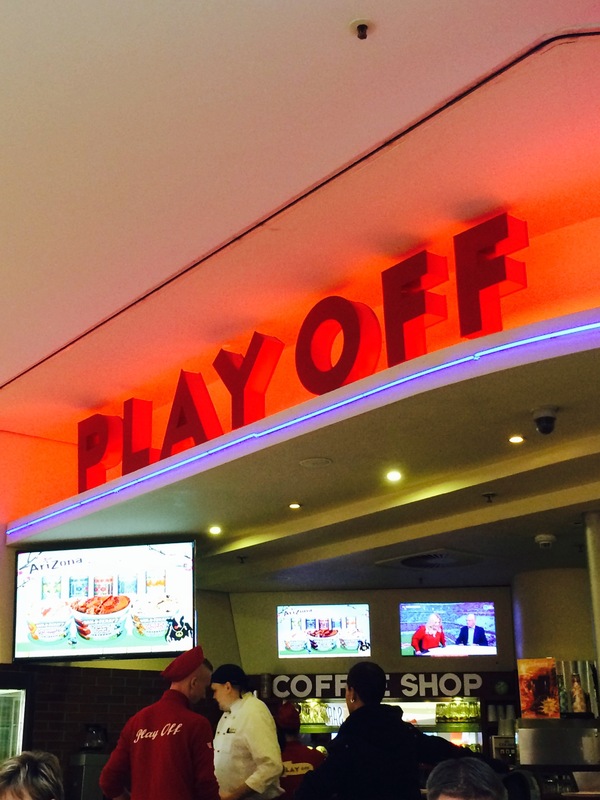 Long story short, I found myself in Play Off which is an American style diner/sports bar situated in the Potsdamer Platz Arkaden. They have a pretty decent menu although, like many places, there is not a huge choice for vegetarians. There is a baked potato with sour cream, some finger food, pasta, salads and pizza. I choose the veggie burger which basically is the reason why I am writing this post. It was not the usual greasy patty of frozen vegetables thrown together. Instead, it was a good ol’ chunk of halloumi on ciabatta bread. It tasted pretty good. Not a gourmet meal of course but an enjoyable option when looking for some comfort food on a cold Saturday afternoon. It came with some coleslaw which had just the right consistency of mayonnaise, and some chips which were not the greatest but decent enough. In other news, Play Off is placed at the end of the floor so is tucked away nicely in its own little corner. This was a plus for me as often in a shopping centre the seats are placed on the walkway and it can be slightly uncomfortable having shoppers pass so close when you are eating. The service was also fast and the staff were friendly. Most of you might find that writing about a burger place in a shopping centre is not the most thrilling of posts. However, I felt that I owed it to my fellow non-meat eaters to give Play Off an honourable mention. When you have eaten one too many greasy patties, you will understand. Stay tuned for some more burger reviews. In the meantime, check out what I thought of The Bird and Hamburger Mary’s.